Are you a Colour Printer - would you like to improve colour control in your organisation while reducing make-ready times and waste? Are you doing digital production print and/or wide format digital for display/signage - would you like to have your colour output standardised across across each of your print devices and media? Are you a Print Buyer - would you like the colour appearance of your brochures printed in Sheffield to match those printed in Sydney? The Mellow Colour System allows you to analyse the colour appearance of print and tune systems so that all of the above can be achieved. 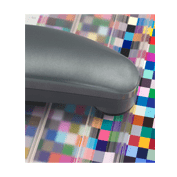 We provide you with the technical know-how and tools needed to measure and control your own colour print appearance. Experience has shown that subsequent improvements in efficiency and reductions in waste will soon show up on your bottom line. PrintSpecTM colour quality management software has been developed by Mellow Colour, for colour consultancy projects and now allows you to take care of colour quality control yourself. PrintSpecTM is the ideal tool for colour professionals with an interest in consistent high quality colour reproduction. Q. 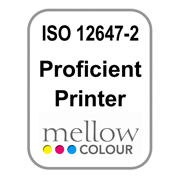 What is a Mellow Colour ISO 12647 Proficient Printer? A. A Mellow Colour ISO 12647 Proficient Printer has received training in the practical implementation of ISO 12647 and operation of the Mellow Colour Quality System. 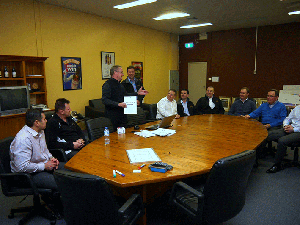 They all have an appointed 'Colour Champion' and a colour QA team focused on creating a culture of continuous improvement through the measurement and analysis of colour. They use printing equipment and consumables combinations that have been optimised to meet the targets and tolerances of the ISO 12647 Specification - plus the demanding grey balance appearance targets of the Mellow Colour Quality System. They all use D50 lighting in colour critical areas for viewing prints and proofs. Their colour measurement instruments are regularly calibrated and certified by the manufacturer, and they are visited every six months by a Mellow Colour specialist for revision training and review. In other words these printers put a lot of resources into producing consistent standardised colour appearance conforming to the ISO 12647 Specification. 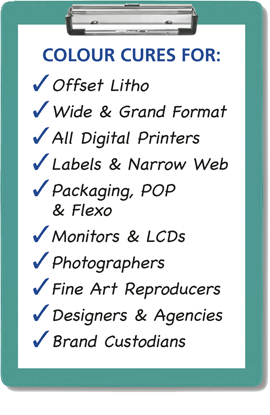 We can provide this certification for offset (ISO 12647-2), digital (ISO 12647-8), other print processes or specific parts of your workflow, like Prepress and/or Proofing (ISO 12647-7). We can provide you with a system approach or take it on as a project or customize a solution to suit your requirements. We would normally start with some colour measurement and theory training and we would recommend the Mellow Colour InkSpec system for control and verification. InkSpec can enable you to match brand colours across a variety of substrates, enable standardization of special colour print, help to manage your customers brand colours and special colours and reduce wastage, improve productivity and improve communication. 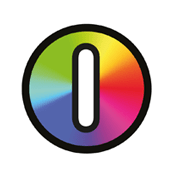 To enable consistent and predictable colour from your ‘printer’ or ‘print engine’ requires printer colour calibration. This is best described as the process of bringing a ‘printer’ or ‘press’ into an optimal, quantifiable, repeatable state. Optimal: The best result obtained or obtainable under specific conditions. Printer calibration usually involves getting the printer to conform to an established industry standard (such as ISO 12647-2 for print) or a manufacturing standard/guidelines or even your own specification. If it is a 'digital printer’, print calibration is always performed prior to the ICC profile building process. We can provide the printer colour calibration service for your digital, wide format, offset or indeed for just about any print process that you require or use. Our ICC profiling service is completed at your site. 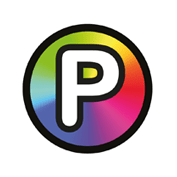 RGB or CMYK profiling for ALL forms and types of Print, Monitor profiling, Scanner profiling and Camera profiling. We have the latest range of spectrophotometers and ICC creation software to complete the task. As each ICC profiling situation is usually different we can tailor a package to fit your needs. We also run each ICC profile we build through thorough ICC profile evaluation procedures to be sure the results are optimized to your satisfaction. - What about monitor profiling? If you are just starting out or you may have years of colour experience, but you just want your monitor calibrated, profiled with a complete evaluation summary and colour report. We can provide a monitor calibration and profiling service as a one off or on a regular basis to be your monitor(s) provide accurate, predictable colour. We take a systematic and structured approach to the colour management training courses and we can offer variety of on site and class room style courses and workshops. We usually tailor the course content to suit your requirements and needs. All of our courses have a structured outline, objectives, means and outcomes. Depending on the type of course, it can include hands on sessions, with equipment, software and specialized measurement hardware (spectrophotometers, colorimeters and densitometers). Our aim is to ensure that the key concepts and main points of each course improve, and expand, the skills and knowledge of each attendee. We complete each course with an exam/test (written and multiple choice), together with practical modules, to reinforce and demonstrate the colour theory learnt can be put into hands on usage.